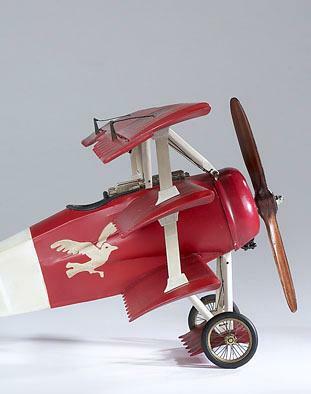 Desktop model of the legendary Red Baron’s own plane. 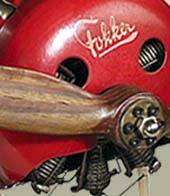 Made in wood and cloth. 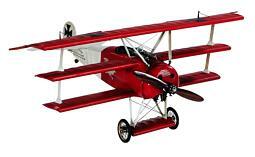 Desktop model of the legendary Red Baron’s own plane. Decked out in trademark red, all details. Detailed wing rigging comes pre-assembled. Detailed engine cover - riveted parts and struts. Colors are red and white with German insignia. Size is 15.25" inches long x 18.5" inch wingspan x 7.5" inches in height.